A generous and portable scented spray to use anytime of day to refresh and lightly revive the notes of the modern scent. N°5 L’EAU features dynamic, crisp top notes of Lemon, Mandarin and Orange that reveal lightheartedness and transparency. The emblematic heart of the bouquet unfolds with Rose, Jasmine and a new fraction of Ylang Ylang, more modern than ever. Behind this floral whirlwind lies an unprecedented sense of liveliness: the vibrant echo of Cedar, accompanied by soft and cottony Musk notes. 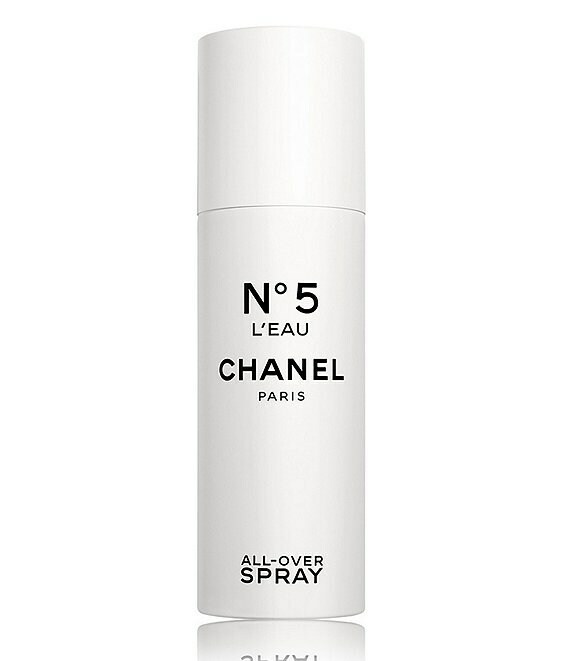 Mist N°5 L'EAU All-Over Spray evenly over hair and body.